Panama apparently finished 3rd (not clear how - either on winning head-to-head group match, or having better overall points difference in group stage). Not bad for our first run out under Brown. Definitely some things that need to be worked on, but Silver at home? And thumping Australia? I'll take that! U18 Asian Championship, first day. Is it the debut for a Qatar women (girls, in this case) national team? I don't remember to have seen it previously? Canalina wrote: U18 Asian Championship, first day. Is it the debut for a Qatar women (girls, in this case) national team? I don't remember to have seen it previously? If it is 89-0 (and the site does now say 89-0, even though the score-by-score information goes haywire, perhaps understandably) that would be the largest win in women's international 7s (that we know of) beating USA's 88-0 win over Mexico in NACRA final in 2015 (which was obviously a 20 minute game). Viator is just an invitational team made of Spanish national team players, some recently retired ones and some foreigners. They are sponsored by the shirt company of the same name and show up at almost every 7s tournament here to raise the bar. Results from Elche. In the round-robin phase Ireland Spain and England all had 4 wins out of 5. Spain beat Ireland in the final. I'll try to attend, but it won't be easy. nick511 wrote: With all the 15s matches this weekend for the November internationals, it might have slipped under the radar but the Oceania 7s kicks off tommorow (friday) in Suva. Some of the squads from Aus, NZ and Fiji look fairly strong so it should be a competitive tourny. Its good to see Niue back too competing, at the expense of American Samoa and it looks like the Cooks have a a weaker squad due to work commitments. Another interesting fact is the Tuvalu Men's 7s team is coached by a woman, and I'm not sure if any other current men's 7's teams have a female coach? There doesn't seem to be any sign of a stream that I could find, other than updates via Twitter. Although on second look there seems to be a full replay on Fiji ONE of the action on day 1 so there must be cameras set up to film it. Maybe the only one in the world for a national team, XV or 7s? 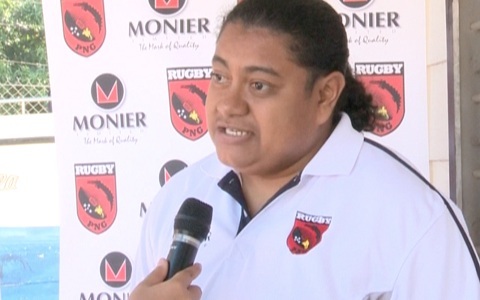 Papua New Guinea's women, coached for the first time by Paul Tietjens, had by virtue of reaching the semi-finals confirmed their place as the invitational team at the HSBC Sydney Sevens on 1-3 February as the best ranked team after the world series core sides Australia, New Zealand and Fiji. As I thought, I couldn't attend the Torneo Valentín Martínez / South American Women's Sevens, neither the ATP Challenger.